News / Development / A display in Joseph Road Precinct you say? A display in Joseph Road Precinct you say? Urban Melbourne has in the past lamented the state of flux that had settled upon Footscray's Joseph Road Precinct; 15 hectares of private landholdings and public areas set for intense urban regeneration. With no obvious intent from local developers to kick start proceedings and a distinct lack of infrastructure investment in the area, progress was non-existent. During 2014 a rash of site sales within the precinct coincided with the influx of tigerish Asian-based developers en masse, ready and willing to push paper developments toward reality. 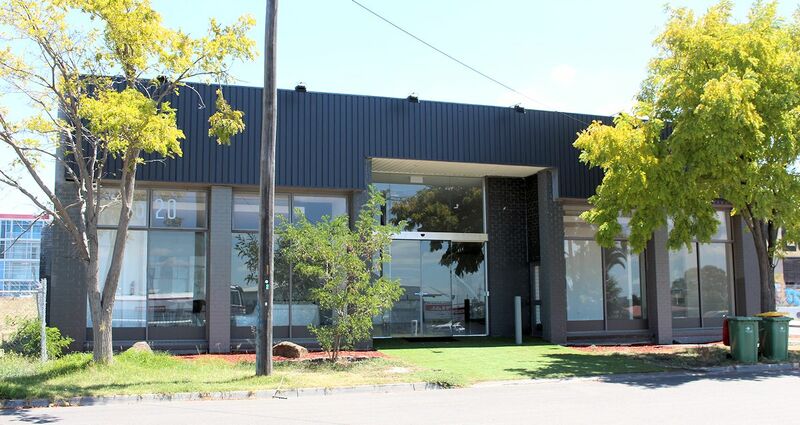 In addition to 2 Hopkins Street and 8 Hopkins Street which were offered for sale, Austpac elected to offload the largest approved Joseph Road Precinct development, 18-24 Hopkins Street. The sprawling 1000-apartment, five tower project was reported as not having found a buyer during late 2014, yet that seems to have changed with an Asian-backed developer recently completing works on a sales display suite located within the only existing building onsite. Behind 20 Moreland Street's dated facade lies a fully equipped, open plan display suite decked out with a predominantly white motif. Although it sits completed, protective covers are present suggesting that it may not be activated for some time yet. Seen above is part of the endorsed design which was initially submitted during 2012. Tract Consultants acted on behalf of Austpac at the time with Peddle Thorp responsible for the overall design. Further amendments were sought and permitted during 2013 with a new planning application for the site received during June 2014. Curiously enough the 2014 application still remains active with no decision listed on the State Government DTPLI/DPCD website, even though the display suite is ready. It looks likely that a final altered design/layout for 18-24 Hopkins Street will be revealed once marketing commences, whenever that may be. Elsewhere in the Joseph Road Precinct demolition work continues on the former Le Mans Toyota site. Covering 13,179sqm and designated 8 Hopkins Street, the site was offered for sale with a scheme holding 795 apartments, and was subsequently sold to to a holding company controlled by Chinese-born Guohua Liang according to Business Day. 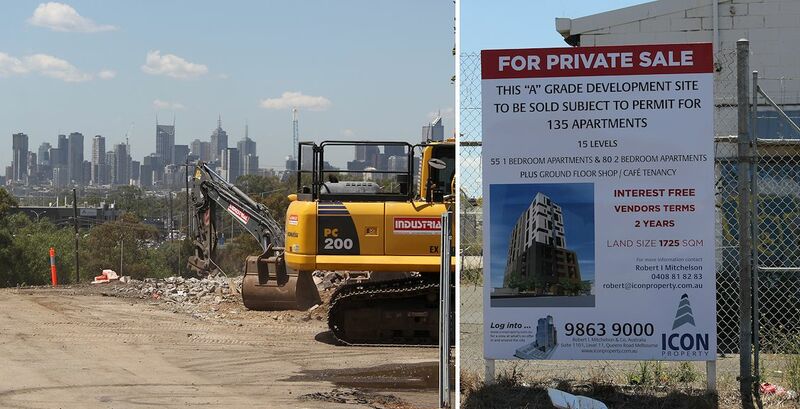 While demolition is a sign that 8 Hopkins Street may be progressing, the nearby 4 Neilson Place is currently for sale. Agent Ikon Property states on their webpage that the site, with permit in place, is available for $5,000,000 (exclusive of GST) or less than $37,000 per unit cost. With a flutter of activity is seems that the Joseph Road Precinct is finally due to make an impression. Great to see it looks like one of big projects (8 & 18-24 Hopkins) will turn soil first. Should hopefully act as an impetus for others to follow. At the moment its bit of a Mexican stand off! Very much looking forward to the whole precinct coming alive. Hopefully that pub at the top overlooking the railway will get knocked over and rebuilt.